Air France-KLM shares plunged Monday after its chief executive pledged to resign because he had failed to quell labor unrest, throwing the company’s strategy into question. Its stock was down more than 13% on Monday, and by half since its recent peak in January, before employees at its Air France unit began a series of strikes over wages, forcing the airline to cut back on its flights, and incurring what the company says is more than €300 million ($358 million) in costs. Jean-Marc Janaillac on Friday said he would resign after 55% of nearly 47,000 employees on French contracts rejected a pay deal in an ongoing dispute for higher wages. The Air France-KLM board said over the weekend that Mr. Janaillac would stay in his role until the company’s May 15 shareholder meeting, at which it would announce interim management plans. Mr. Janaillac’s resignation throws the Franco-Dutch air carrier into disarray, as it struggles to contain costs and compete effectively against both low-cost short-haul airlines in Europe and long-haul competition from Middle East carriers. Efforts to cut costs have upset unions, which have asked for larger pay increases than the airline has been willing to offer. French Finance Minister Bruno Le Maire expressed exasperation with the company’s employees’ vote in a televised interview Sunday. “What’s at stake is the survival of a company that risks disappearing if it doesn’t do what’s necessary to be competitive,” he said. He also said that the French state—which owns a 14% stake in the company—won’t take on the company’s losses. 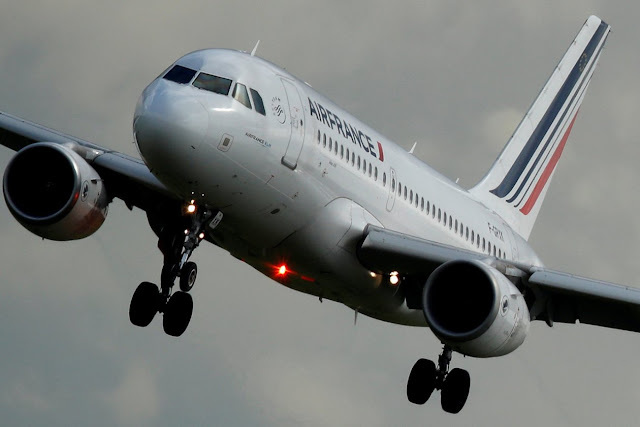 On Monday, Air France said on its website that it would operate 85% of its scheduled flights, with cancellations hitting medium- and short-haul flights. Mr. Janaillac was brought in to run the airline group, including Air France and KLM, less than two years ago. At the time, the firm’s board cited his experience handling delicate labor negotiations when he was CEO of train and bus operator Transdev. Mr. Janaillac had also spent time at Air France in the late 1980s. The labor situation at Air France has been tense for several years, as management has sought to cut costs. Under the prior CEO, a restructuring program led to clashes with unions that culminated with an angry mob accosting two executives and tearing their shirts in front of TV cameras.